Carry these ideas across the curriculum into language arts, math and science skills. You can use these ideas for lessons about milk with a farm or health theme. 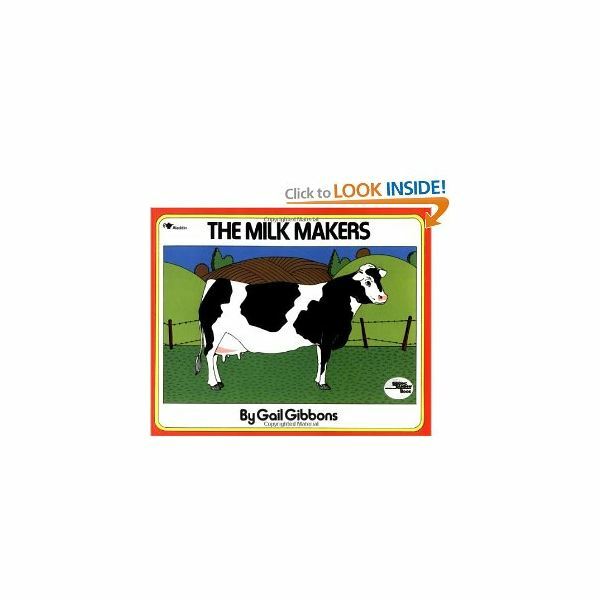 Teach your preschoolers how their milk gets from cows to their refrigerators with an informative book like The Milk Makers by Gail Gibbons. Preschoolers will be interested to learn about dairy farms and the things that happen from when the cows are milked to when the milk finally gets to the shelf at the grocery store. After reading and discussing the book, show the children pictures of things that would be found on a dairy farm and some that wouldn't. Have the class help you sort the pictures based on whether or not they belong on a dairy farm. Preschoolers need about two 8 ounce servings of milk or dairy products each day. Tell your students how milk provides calcium, vitamin D and other important vitamins that are vital to growing children. Milk helps you develop strong bones and healthy bodies. To help them think about the foods they eat that are made from milk have them respond to a quick poll with some fun actions to get them up and moving. This is a great activity to help young children get their wiggles out. Here are a few ideas for questions. Jump up and down if you had cereal with milk on it for breakfast. Reach up high if you like yogurt. Run in place if you drink milk with your lunch (or dinner). Bend to the side if you like string cheese for a snack. Spin around if you like chocolate milk. After the poll have the children draw a picture of two ways they can get their milk each day. If time allows you can let the children share their pictures. Give students a taste of some of the products that are made from milk. Set up station where the children can taste yogurt, cheese, butter and ice cream. Give each child a recording sheet where they can tell whether or not they liked each product they tasted. When they have tasted each food, let the students draw pictures of their favorites. Be sure to check for students with food allergies before doing any kind of tasting activity. If you do have students with dairy allergies, add a station with an alternative type of milk, like soy or rice milk and another dairy free substitute, like soy yogurt. Brainstorm a list of products that are made from milk. Then put the children in groups of two or three. Give each group a grocery store circular, a piece of paper, glue and scissors. Let them cut out pictures of items that are made from milk to make a dairy product collage. Collect the lids from dairy products like milk bottles, yogurt cups and sour cream containers. Place them in your math center for the children to practice sorting with. Challenge the children to see how many ways they can sort the lids. Some ideas are by color, size and whether they have writing on them. Treat your students to a special milk-based snack by letting them make their own milk shakes. For each milk shake mix 1/2 cup of vanilla ice cream and one cup of milk. Provide the children with a few choices for flavoring their shakes, like chocolate syrup, strawberries, peanut butter or bananas. Once you have made the shakes, write the recipe for one of the types of shakes, like strawberry, as a shared writing activity. Then make a graph of which type of shake each child made. These books make great companions to the activities with milk for preschoolers. Here's another great book that outlines milk's journey from the cow to the table. It's a good choice if you can't find a copy of The Milk Makers. Children will learn how ice cream is made from start to finish. The colorful photographs and simple text make it ideal for young children. This is fun, fact-filled book about a trip to the dairy farm. It even includes a recipe for making ice cream that is sure to be a favorite with preschoolers. Your preschoolers will know lots about milk after completing these activities. You may even find you have a few future dairy farmers in the class. Teach your preschoolers everything they ever wanted to know about cows, including the different breeds, how they make milk and what they eat.